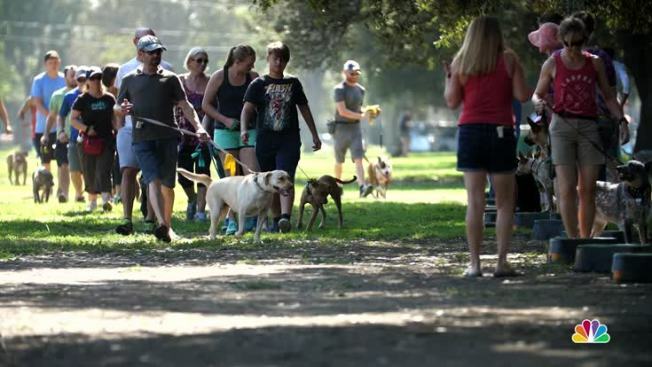 While others are eating brunch, running errands or relaxing, a dedicated group of pet owners and volunteers spend Saturdays training "bully breed" dogs at a park in Sherman Oaks. Troy Smith founded Los Angeles Responsible Pit Bull Owners (LARPBO) six years ago when he couldn't find activities to do with his beloved pit bull, Tito. He said people gave him strange looks for owning one of the controversial breeds. "A pit bull is a dog. It has four legs, a head, teeth, it likes to run and play and wag its tail. It's the same as any other dog," Smith said. In six years, LARPBO has grown from a dog-walking group to a nonprofit with more than 1,900 members that train 100 dogs each weekend, according to Smith. The organization hopes to keep dogs out of shelters by building positive behaviors for dogs and owners. And classes aren't just for pit bulls. LARPBO accepts all breeds, backgrounds and training needs. 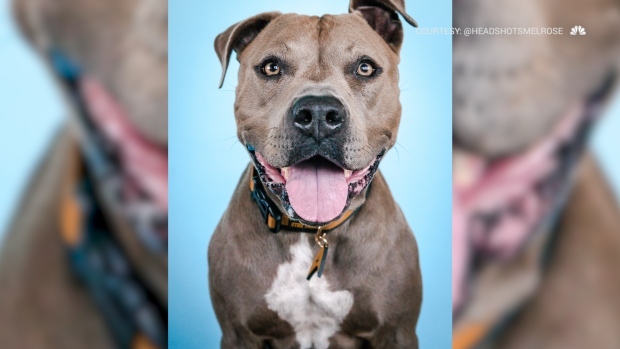 "We want people to come and be a part of their dog's life and change their dog's life, rather than putting them in the shelter and giving up on them," Smith said. 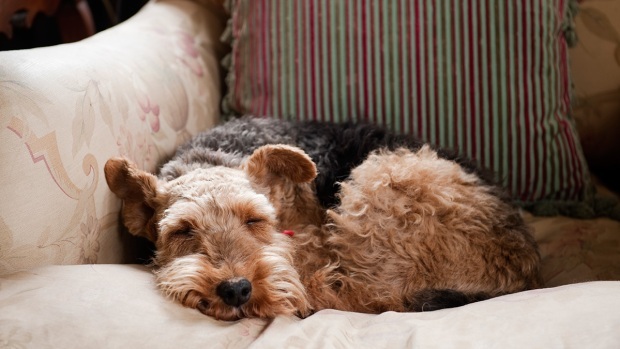 "We think of our organization as a last resort before people turn their dogs in." Wendy Williams joined LARPBO four years ago after another organization's trainer said her pit bull wasn't welcome. "It's hard to find a place for pit bulls. They end up getting turned away because of their breed or their size," she said. During her first class, she saw a woman with a nine-pound chihuahua and feared her pit bull's small-prey drive would be triggered. "I remember thinking, 'Why is this woman here? She's going to be the bane of my existence,'" Williams said as she tried to hold back laughter. "We're now best friends...our dogs can go to lunch, sit in harmony and share a water bowl." Two years after joining the nonprofit, she became a trainer. Now she leads classes on Sundays in Long Beach. Both Williams and Smith estimate 90 percent of LARPBO dogs come from shelters, adding a second stigma to the already maligned breed. "A rescue dog is a rescue dog because someone gave it up. That's all it is. It's not because they're a bad dog or from a bad situation necessarily," Smith said. LARPBO offers $15 training classes on Saturdays in Sherman Oaks and Sundays in Long Beach. The nonprofit allows dogs and their owners to attend classes whenever they want, rather than being tied to a six- or eight-week program. Dogs can enter the program as beginners, pass a "good citizen" test and continue on to advanced training. Smith said he hopes to open a LARPBO center in L.A. and eventually expand nationwide.